Improve Texture, Remove Age Spots, Reduce Redness - Rejuvenate Your Skin. Rejuvenate your skin with Laser360™. It’s an exciting aesthetic treatment that combines three revolutionary technologies to deliver softer, younger-looking skin in just 60 days. 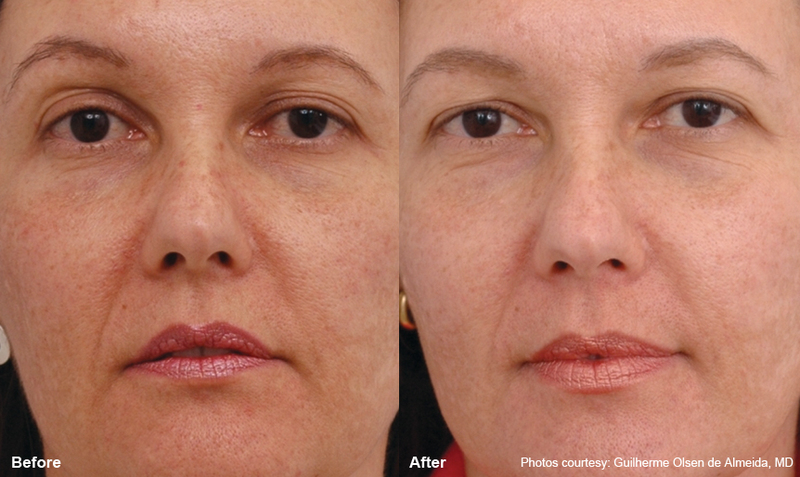 The Laser360™ treatment reveals brighter, younger and healthier-looking skin, from the inside out. It treats fine lines, wrinkles and discolorations from deep within the skin to give you a lasting new, revitalized look. If you’re not ready for a face-lift, but you’re no longer satisfied with the results of topical creams and lotions, Laser Skin Resurfacing 360 could be the perfect treatment for you. 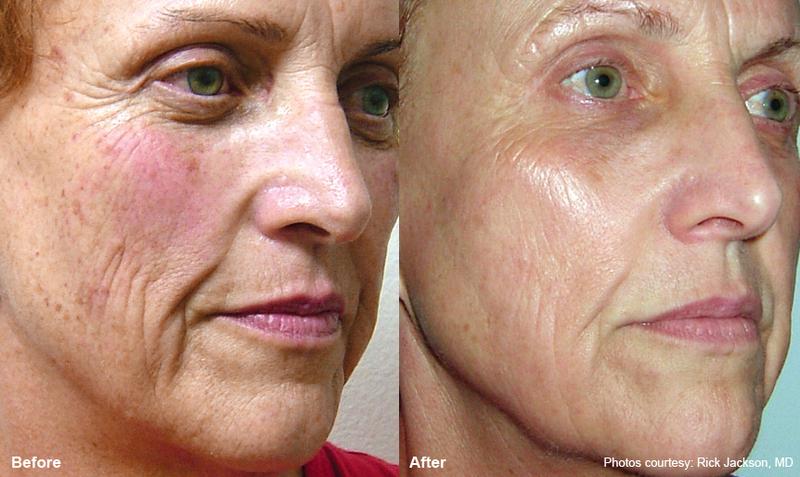 Laser Skin Resurfacing 360 treatments will improve your skin’s color, texture and tone. Visit Spa 35 and we will combine different light technologies and a skin care product regime into a treatment plan that is customized to your needs. 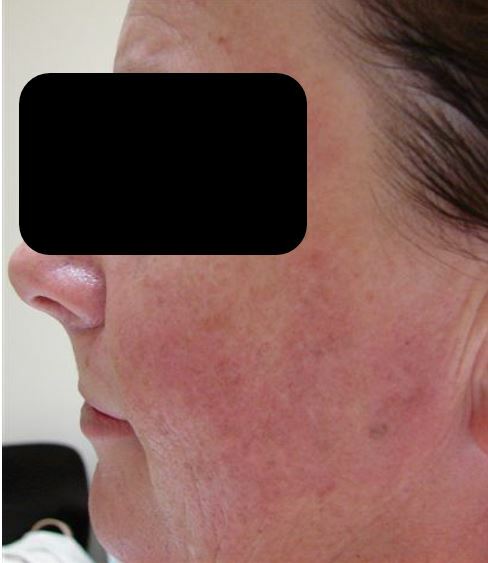 Light based treatments can include fractional Erbium Yag ablative laser for textural repair, Intense Pulsed Light for reds and browns and skin tightening for loose skin. Results vary by individual. Photographs are for illustrative purposes only. Combines multiple technologies to treat the most common symptoms of premature aging: color, texture and skin tightness. 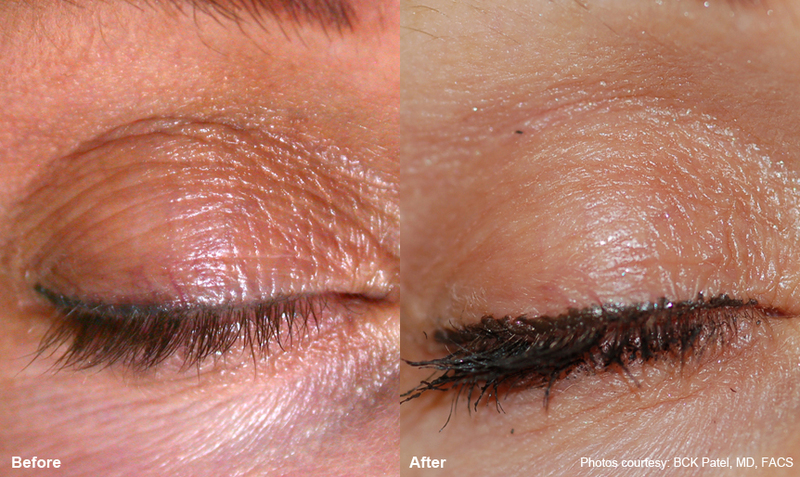 Please note you cannot get permanent results with any cosmetic treatment. Laser based treatments remove or reduce the common signs of aging: age spots, wrinkles, rough skin, scars, and loose skin. Once we "roll back the hands of time" with the laser treatments you will begin the aging process from this new condition. Good skin care, avoidance of environmental damage (e.g. sun, smoke), diet and exercise may all prolong your results. What is the Skin Resurfacing Laser 360 Service? Laser360™ skin resurfacing consists of a series of office visit treatments with an aesthetic medical professional. The treatments are safe, comfortable and effective without injections, surgery or downtime. 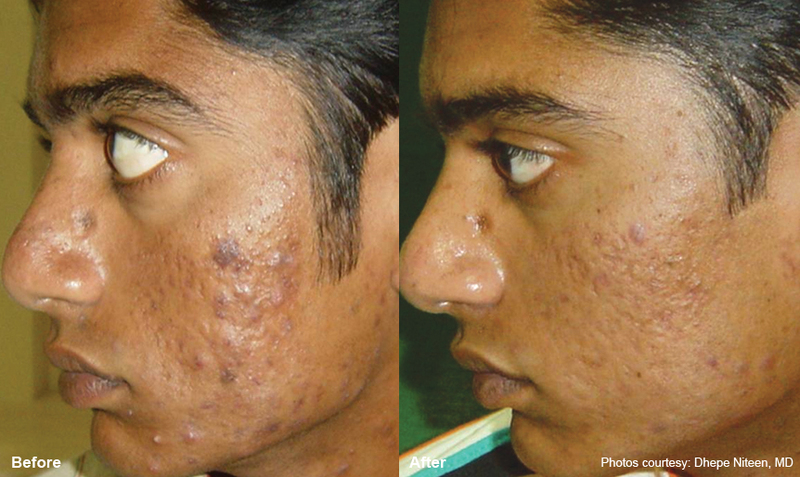 Laser360 will even out your skin color and reduce tiny broken blood vessels. It firms up loose skin around your eyes, nose and jaw, so you regain a more youthful, contoured appearance. specially designed for the delicate skin on the face, neck and chest, Laser360 treats all of these areas: Forehead, Under the Eyes, Cheeks, Upper Lip, Chest, Neck and Around the Mouth. How does Laser Skin Resurfacing With Ablative Laser, IPL and Skin Tightening Work? 1. AFT Intense Pulsed Light for color. 2. Near-infrared energy for skin tightness. Deep heating helps firms up loose skin so you regain a more youthful, contoured appearance. 3. Pixel® fractional skin resurfacing for texture and tone. The device that delivers Laser360™, the Harmony®XL System, has been cleared by the FDA for more than 60 aesthetic and medical applications. Laser360 combines three of Harmony’s 10 unique technologies to provide comprehensive skin rejuvenation. It improves skin color, wrinkles and skin texture to achieve outstanding results in 60 days. As with many laser treatments there are risks associated with breaking the skin barrier, such as infection, and the use of topical analgesics. Details on contraindications and informed consent are provided as part of the laser resurfacing consultation. Each treatment takes just a few minutes. A complete session of treatments may take about ninety minutes. During each session, you may have treatments that involve more than one of the Laser360 technologies. Your exact treatment regimen will depend on your individual condition. Before you get started, Spa 35 staff will explain each of the treatments you should have and how long you should wait between treatments. Yes. Though Laser360 requires minimal “down” or recovery time most people take one to four days before they want to leave the house. You can have a treatment and can usually return to work or school within a few days. Laser360 is the ideal procedure to eliminate the discoloration and textural irregularities that make your skin look older. But even after the procedure, you will continue to age and to be affected by the sun and elements.To maintain the healthy glow that Laser360 can bring, patients may choose to come back periodically for touch-up treatments. Complete skin rejuvenation doesn't happen in a single office visit. At home skin care habits are an important part of maintaining results. Sun screen with physical sun blocks (zinc oxide, titanium dioxide), Retinoic Acid (Retin-A), Vitamin C, Peptides, and Growth Factors can all help maintain your new skin. Combination laser and light treatments are some of the most aggressive procedures done at Spa 35. They typically cost between $999 and $2,999.